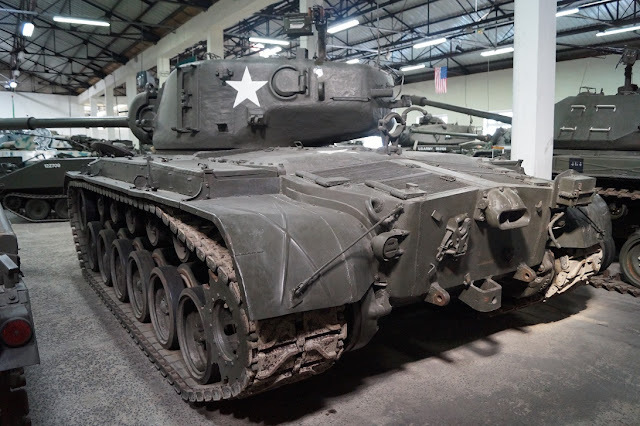 Comments: The Pershing was a medium tank of the United States Army. 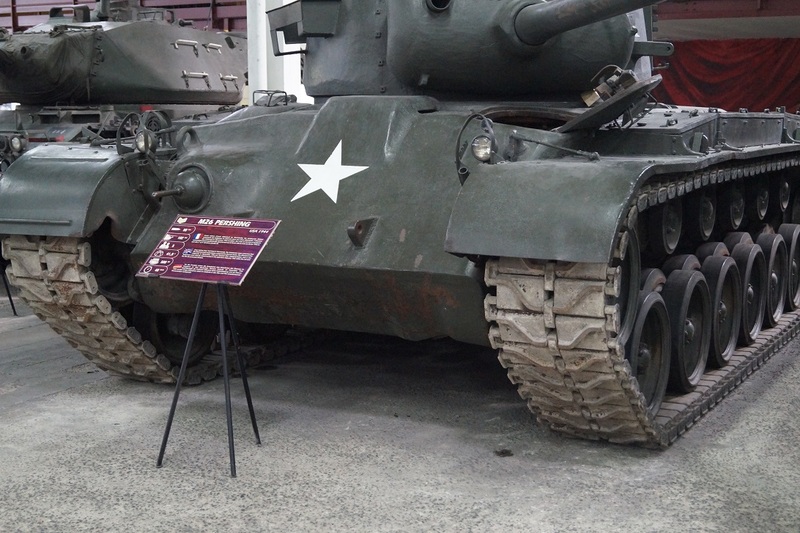 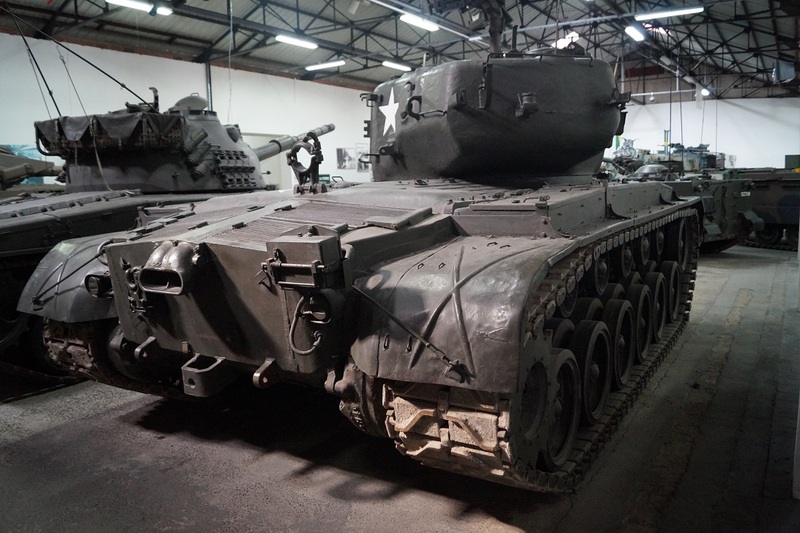 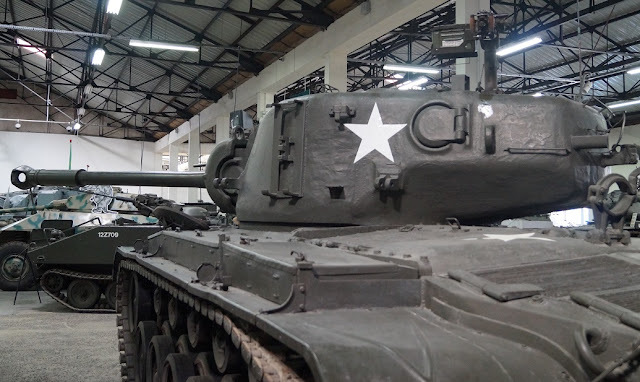 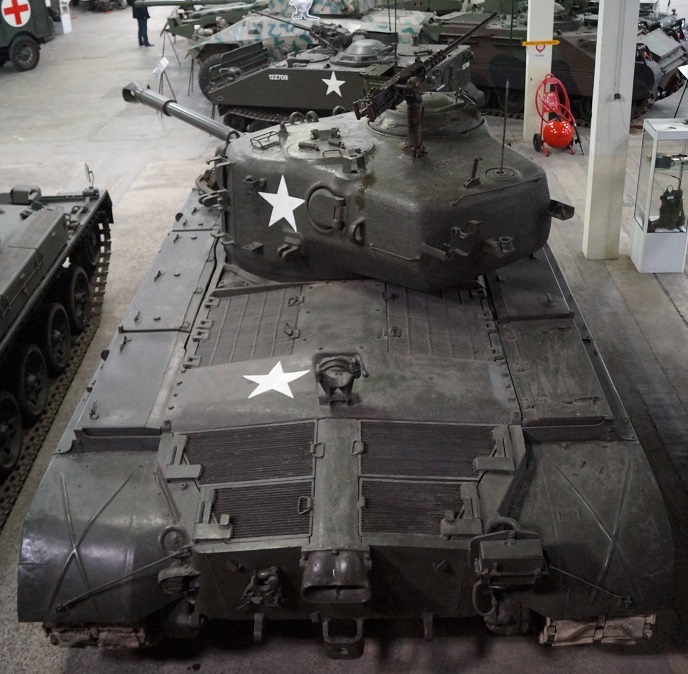 It was designated a heavy tank when it was first designed in World War II due to its 90 mm gun and its armor. The tank is named after General of the Armies John J. Pershing, who led the American Expeditionary Force in Europe in World War I. It was briefly used both in World War II and the Korean War. 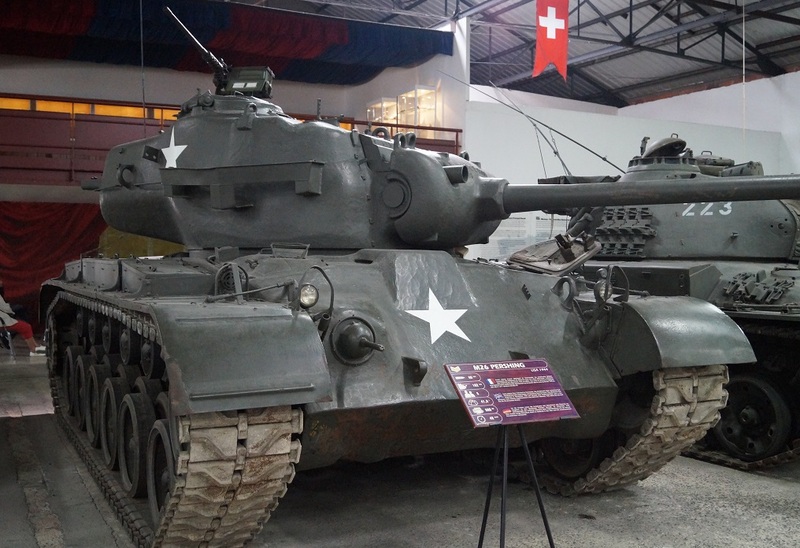 Intended as an improvement of the M4 Sherman, the prolonged time of development meant that only a small number saw combat in the European theater, most notably in the 9th Armored Division's dramatic dash to take the Ludendorff Bridge during the Battle of Remagen. 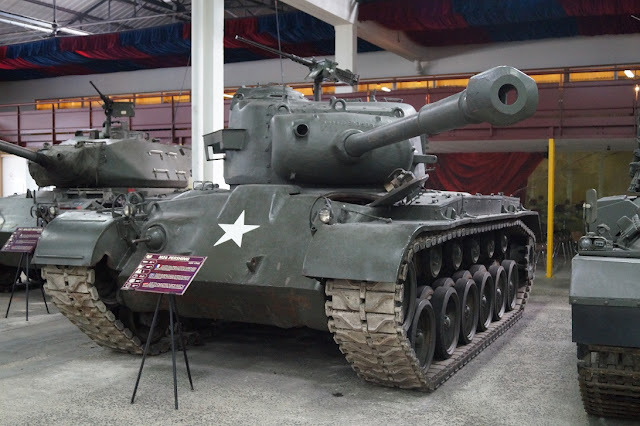 Based on the criteria of firepower, mobility, and protection, R. P. Hunnicutt ranked the Pershing second, behind the German Panther medium tank, but ahead of the Tiger I heavy tank. 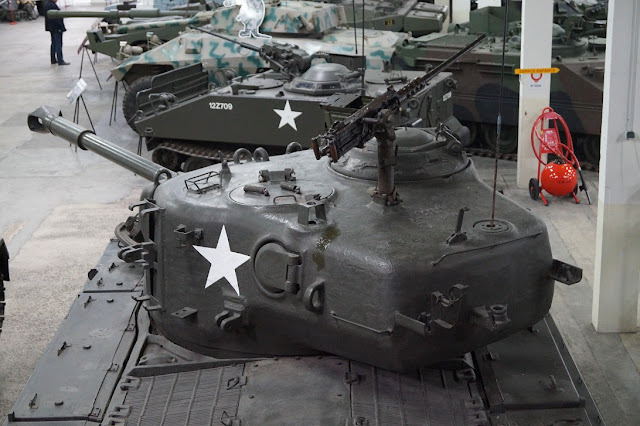 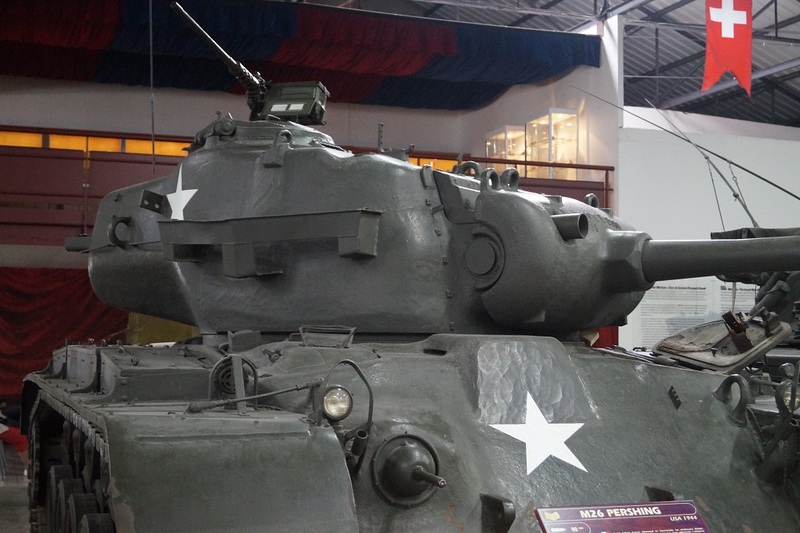 In service during the Korean War, the M26 overmatched the T-34-85 in terms of firepower and protection, but was challenged by the hilly and muddy terrain, and as a result was withdrawn in 1951 in favor of its improved derivative, the M46 Patton, which had a considerably more powerful and reliable engine as well as an advanced and improved suspension to better meet the demands of the specific terrain it operated in. 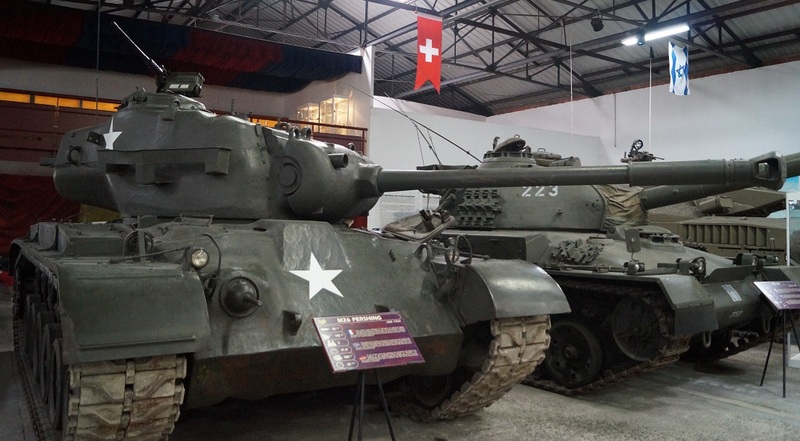 The lineage of the M26 continued with the M47 Patton, and was reflected in the new designs of the later M48 Patton and M60 Patton.